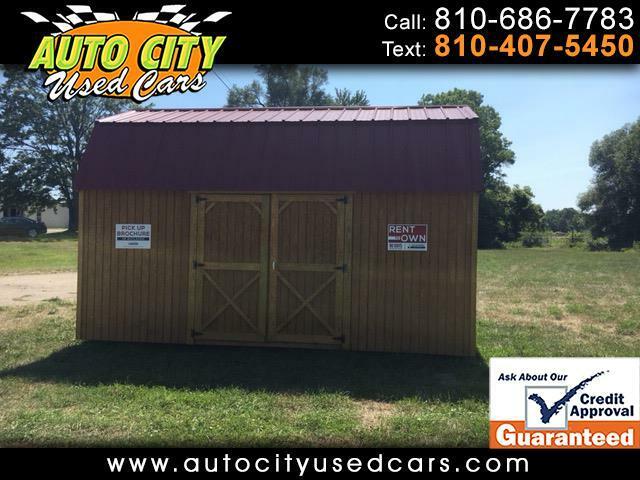 10 X 16 Side door Lofted Barn with red metal roof. $3475 or rent to own...36 months $161 or 48 months $145. Low Price Guarantee!! Exterior with 5/8" T1-11 Pressure Treated Siding Limited Lifetime Warranty against termites and fungal decay. 66% Thicker than many competing siding products.. 24" OC Studs & Trusses, Doubled Under Seams. Comes water sealed with 4 year water sealer. 30 Year Limited Warranty on all metal roofing and siding against rust through.